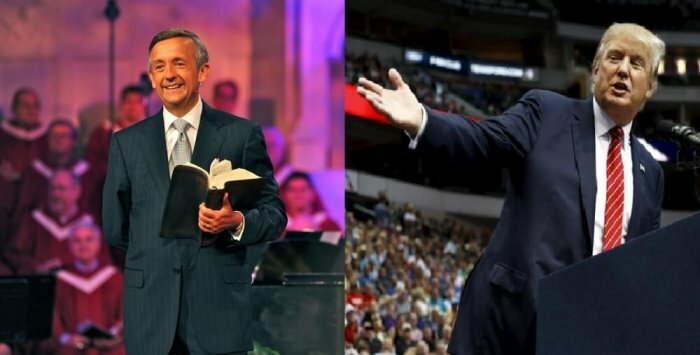 Pastor Robert Jeffress has defended Donald Trump's attacks on Russell Moore, arguing that Moore had it coming because he provoked Trump. 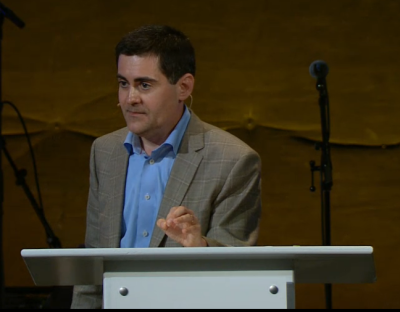 On Monday, prominent Christian ethicist Russell Moore, a vocal critic of Republican presidential candidate Donald Trump, was called nasty, heartless and a terrible representative of evangelicals by Trump on Twitter. Although Moore has received support from various partners and members of the Southern Baptist Convention, not everyone within the convention has come to his defense. Jeffress, senior pastor of the 12,000-member First Baptist Church in Dallas and vocal Trump supporter, ardently defended the Republican candidate. In an email to The Christian Post, Jeffress said, "Trump's response to Moore was not unprovoked. Moore had been launching vitriolic attacks not only against Donald Trump's policies, but also personal attacks against [his] character." The pastor also insinuated that Moore had it coming, arguing "when you keep poking the bear don't be surprised when the bear takes a bite out of you." Do evangelicals have the right to question the presumptive nominee's character? According to Jeffress, any Christian "who objects to Trump on the basis of his past has selective amnesia," in the sense that, in previous elections Christians overwhelmingly supported men like President Ronald Reagan in the 1980s, Republican nominee John McCain in 2008, and Newt Gingrich during the 2012 Republican primaries, despite the fact that they had each been married multiple times. "In God's eyes everyone has a past and needs His forgiveness. There are no perfect politicians, pastors or laymen. Every Christian needs to prayerfully consider [their] choice for president. While every Christian has the right to make his own choice regarding a president, no Christian has the right to condemn other Christians for their choice," Jeffress said. In a Tuesday appearance on MSNBC's "Meet the Press Daily," Moore agreed with Trump's remark: "I am a nasty guy with no heart, which is why I need forgiveness of sins and redemption through the Gospel of Jesus Christ." Moore, an ordained Southern Baptist minister, is the eighth president of the Ethics & Religious Liberty Commission, the public policy arm of the Southern Baptist Convention, and a former dean of The Southern Baptist Theological Seminary. Among those who know him personally, Moore is considered a remarkable representative of evangelicals for his desire to articulate biblical truths while engaging culture. Trump was likely responding to Moore's remarks about him on CBS' "Face the Nation" Sunday, where he lamented the "awful cultural rot on television [and how they plan] to put it on C-SPAN for the next four years and to give a model to our children," be it Donald Trump or Hillary Clinton "of an amoral sort of vision of America." Moore went on to say that the two front-runners represent "an embrace of the very kind of moral and cultural decadence that conservatives have been saying for a long time is the problem." He warned that support for either candidate would lead to a "sexual revolutionary party that is hostile to everything that we [evangelicals] believe in." CP reached Moore's office for a response but he was unavailable. Robert Jeffress: Am I a Prideful Fool for Not Backing Trump? Don't Blame Us. Evangelicals Led the Opposition to Trump.